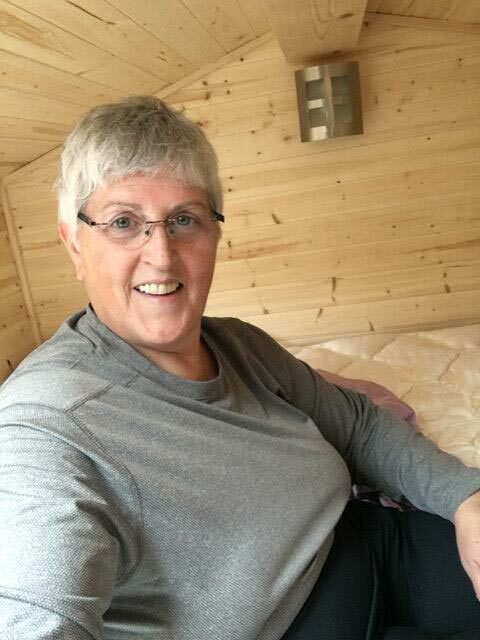 Meet Adele Smith, a recent addition to the Tiny House movement. Her cross-country downsize begins in Nashville, Tennessee, where she found herself living in a cluttered 1,300 sq. 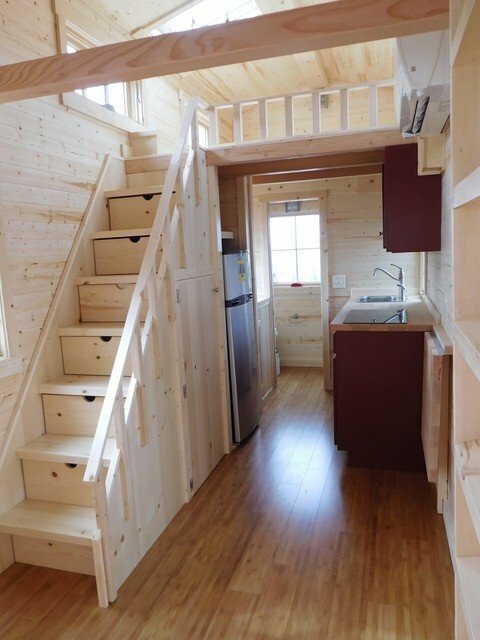 ft. townhouse and using only a fraction of the space. Her daughter was grown and she was about to retire from teaching. Adele decided it was time for a big change and it came in a tiny package! 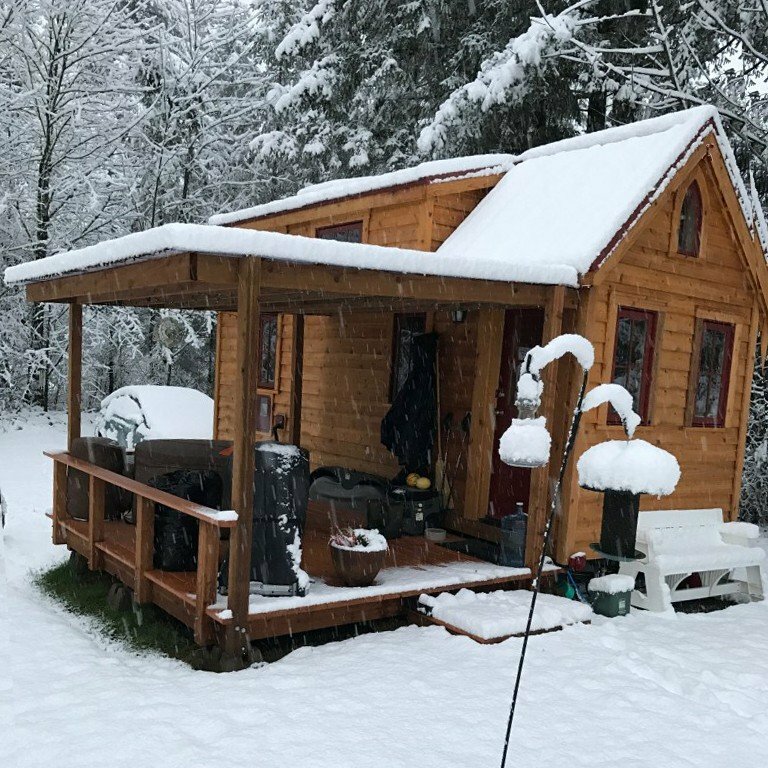 Read on to learn how Adele found serenity in Tiny House retirement. As an outdoor enthusiast, Adele had always been interested in camping. 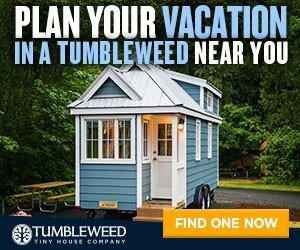 She came across Tumbleweed Tiny House Company and loved that her house could also be a certified RV. She attended a Tumbleweed workshop and listened as the other attendees shared their dreams. It was inspiring. By the end of the weekend, she had a clear picture in her mind. She wanted to move back to Oregon to be near family, and Tumbleweed was the key to her retirement plan. 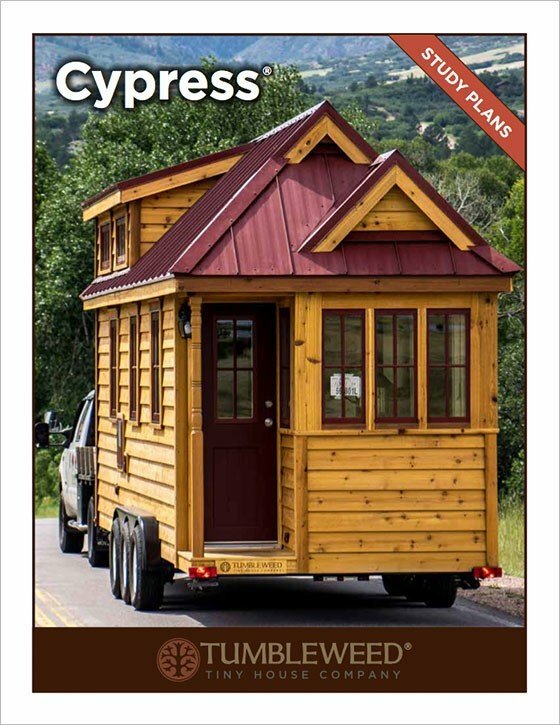 After visiting the Colorado Springs showroom and touring a few Tiny Houses for Sale, Adele ordered a 20-foot Tumbleweed Cypress. 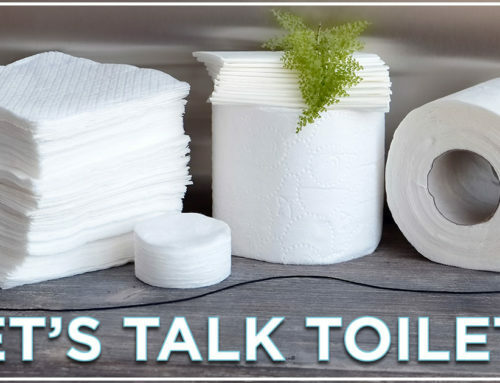 She spent months working with Tumbleweed design specialists to perfect and customize the design. After receiving her Tumbleweed, Adele moved it to a 20-acre farm in Oregon. She helps out around the property and supplies her own accommodation. The parking spot is spectacular. It’s a win, win situation! Adele hired a contractor to build an external deck for her tiny. 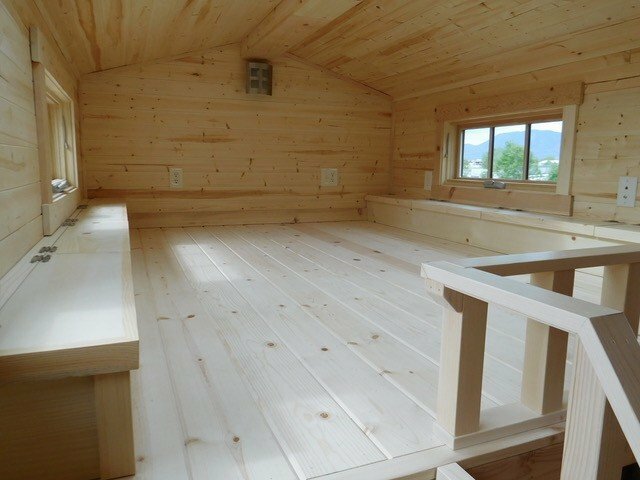 Her covered porch is large enough to double as a mud room, with space to hang her coats and boots. 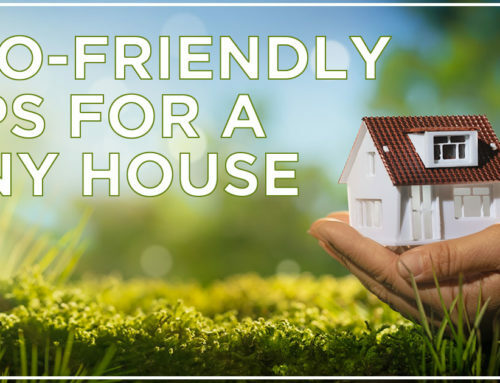 The clear roofing allows for plenty of natural light. And, if you weren’t already jealous, she also has a hot tub! 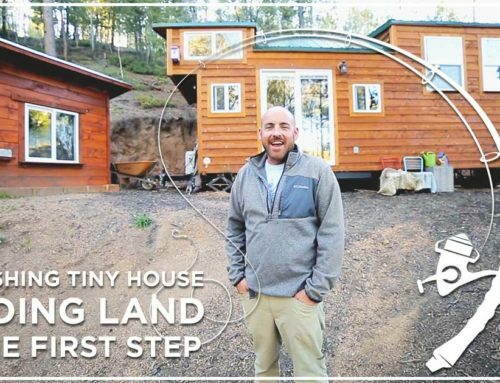 When asked to give advice for future Tiny Housers, Adele suggested first renting a Tiny House RV to get ideas.“The more you can actually step inside and experience the space, the better,” Adele explains. 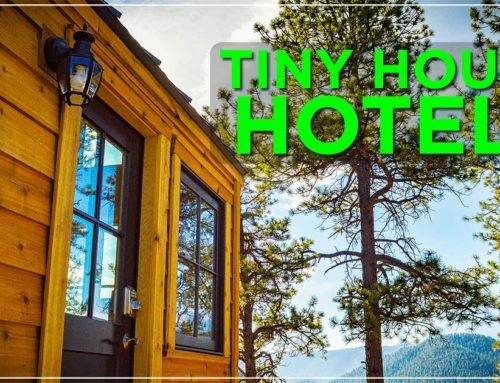 Click here to view Tiny House Hotel locations across the country. 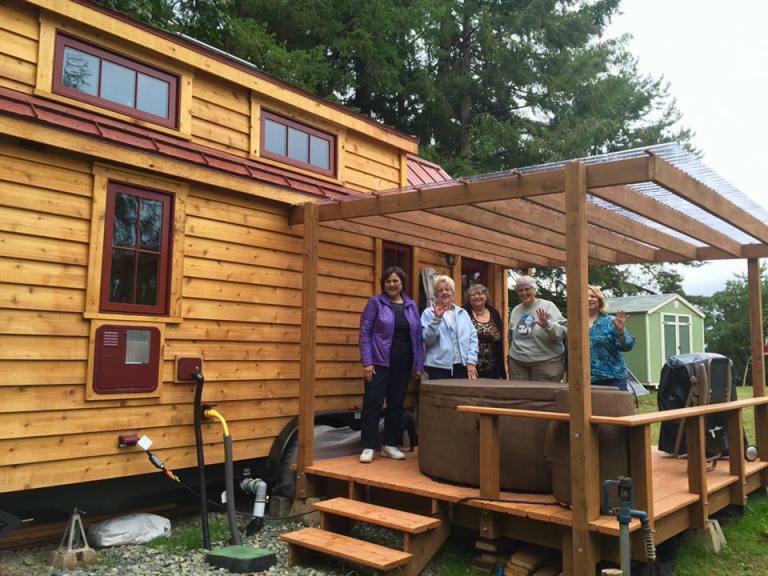 Would you consider a Tiny House Retirement?